The audiobook is a step-by-step guide for any individual, group, or company to actually create a Code of Honor specific to their team. The Rich Dad Advisor series was designed as a 'how-to' series to empower individuals to succeed in the world of business and finance. 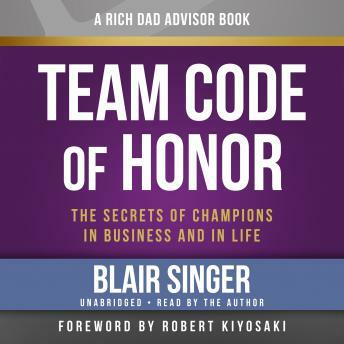 Team Code of Honor is critical to this series because its processes bridge all facets of business, investment, entrepreneurship, and even personal life. The audiobook explains through graphic examples, stories, and numerous case studies how a Code of set of rules is created, maintained, enforced and used for rapid and controlled growth of any entity.